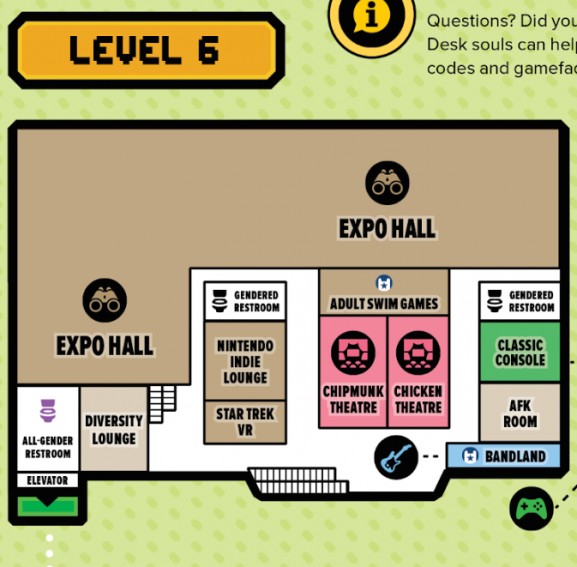 LoadingReadyRun Blog – PAX! PAX! PAX! Hey everyone! Are you going to PAX this weekend? Are you interested in watching LRR and LRR-adjacent people on panels? Maybe you also want to make your hands touch our hands? Or perhaps just engage in some commerce? We can help you accomplish all of these things! If you want to come say hi, buy some of our cool merch, or just look at us from far, far away, the best place to find us will be in Bandland, located level 6 of the WSCC. But we don’t just have a table! We’re on a ton of panels! Join the LRR crew as we show some funny videos, answer your questions, and write a short sketch live! Late Night Dub Fight – “Improve” these clips! Back for another round, it’s the Late Night Dub Fight! Relive moments from your favourite cartoons, video games, movies, TV shows, and anime, in a new and hilarious light. The Late Night Dub Fight pits panelists against each other to find out who can “improve” classic clips by redubbing them live with their imposing improv skills. No one knows what show host Ian Horner has up his sleeves, or what the cast members will say in this all-out assault on your funny bone. Do you like Quiplash 2? Of course you do! Do you like Jerry Holkins, Kris Straub, Nika Harper, Graham Stark, and Kathleen De Vere? Of course you do! Well you should check out this panel and watch these awesome people play this awesome game. If you are unfamiliar, it’s just gonna be a bunch of hilarious people making snarky responses to questions while you vote on a winner live from your phone. The Improv Initiative Initiates Improvised Initiatives! Rising from the most hilarious grave you’ve ever seen, the Improv Initiative returns to PAX for another performance! This motley collection of improvisers will perform never-before-seen, never-to-be-seen-again scenes based on your suggestions! Games will be played, laughs will be had, and improvisers will compete for your affection! A live recording and performance of LoadingReadyRun’s Qwerpline podcast—a morning show from the fictional town of Nsburg, where the news is stupid and the people are stupider. We’re told it’s like Nightvale, if you took out all the occult stuff and filled that void with raccoons and lunacy. Are any of the panels being streamed? Official PAX West Wyvern Theatre Stream (twitch.tv/pax3) for LRR panel and Jackpbox!